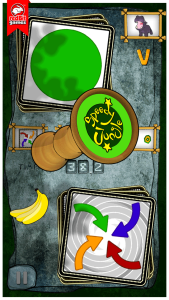 Speedy Jungle is a fast motion card game that requires concentration, coordination, speed, and good reflexes for a “fast and furious” challenge in the Jungle. Exciting but simple, Speedy Jungle means playing a card game in an adventurous contest. The game consists of two modes. : single player mode and dual player mode. SINGLE MODE: your aim is to beat twelve animals in twelve different levels. At the beginning you will have very simple cards with few rules. As you progress the game becomes more complex, and only the smartest of the smartest can be crowned King of the Jungle. In this mode, you can challenge the current King on the Apple Game Center. DUAL MODE: you can play in twos and challenge your friend. 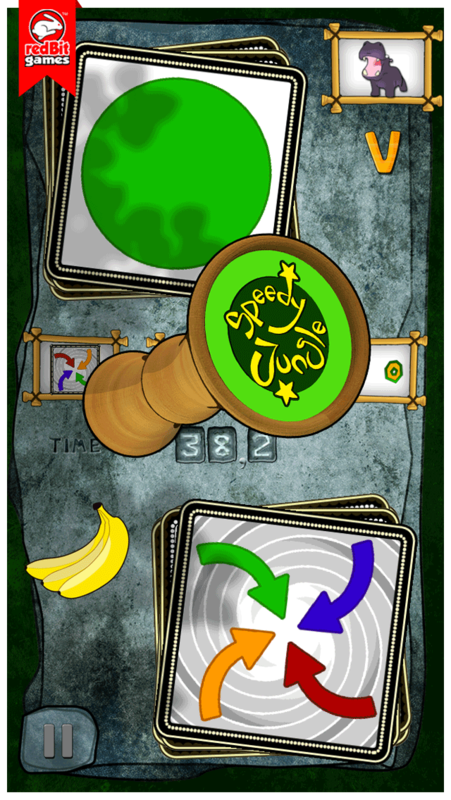 Each player swipes a card, and when two symbols match, whoever taps slower is stuck with a pile of discarded cards. Only the strongest will survive the Jungle! Be on the watch for special colored arrows cards that match any symbols. The challenge starts by matching symbols, but as you progress, colors, fog, rain, thunders and earthquakes will come into play to make the jungle more challenging. Speedy Jungle is, on one hand, fast paced and easy to learn, but on the other it can be quite demanding on your instinct, reflexes and concentration. This game provides many hours of entertainment for people of all ages! Regular updates with new features and power-ups!